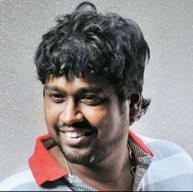 Siva Karthikeyan is set to associate with director Rajesh soon. This new project won’t be directed by the OKOK director, but he would be writing the dialogues for this untitled movie. Newcomer Ponram, a former associate of Rajesh, would be directing this film. D. Imman would be composing music for this film after his previous association with Siva Karthikeyan in Manam Kothi Paravai. Balasubramaniam will be in charge of the camera while Escape Artists would be producing this film under their banner. This new movie would be an out and out comedy in typical Rajesh style, but in a rural setting.